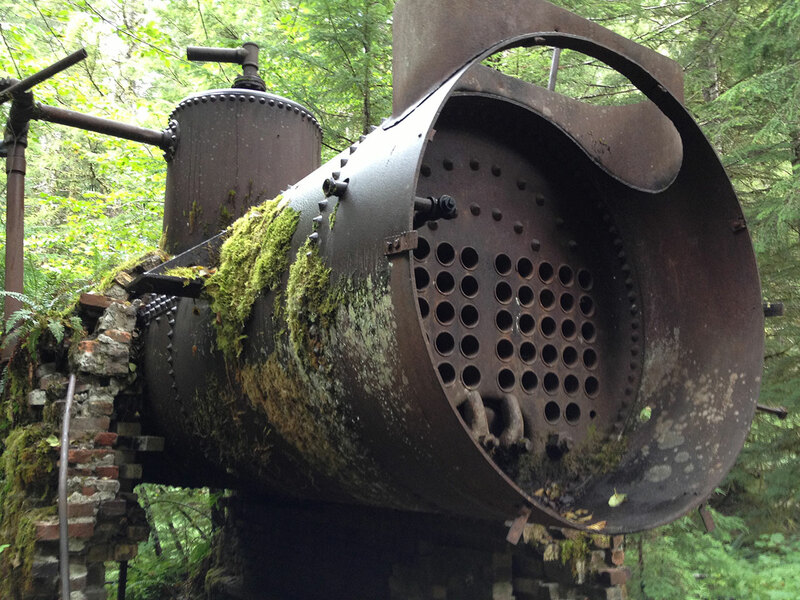 The Opal Creek Wilderness is the site of a former mining operation that dates to the 1850s, an hour east of Salem, Oregon. 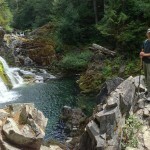 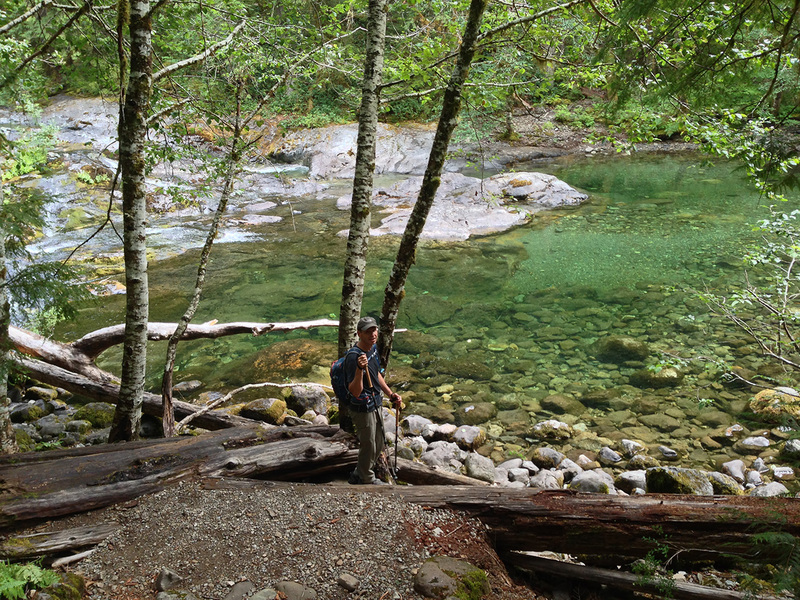 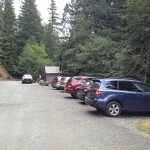 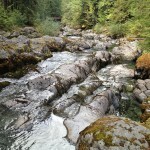 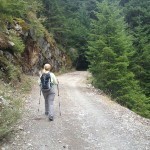 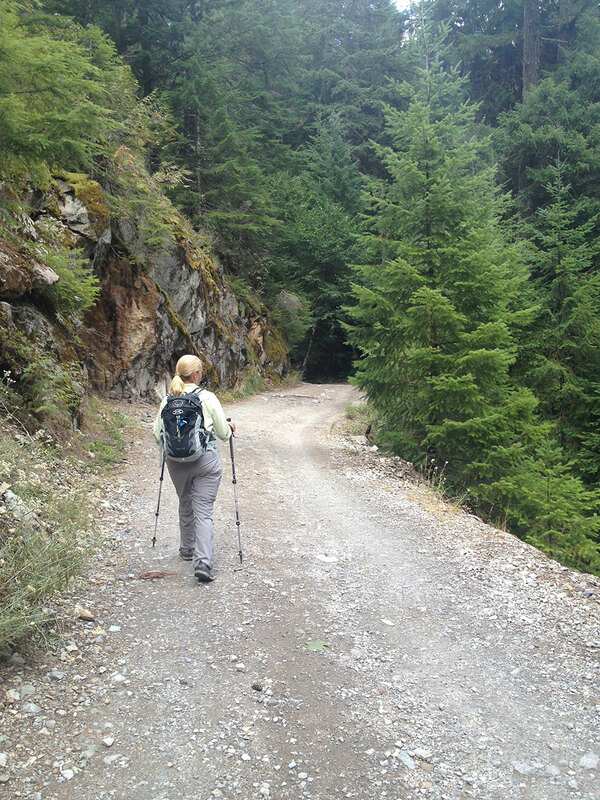 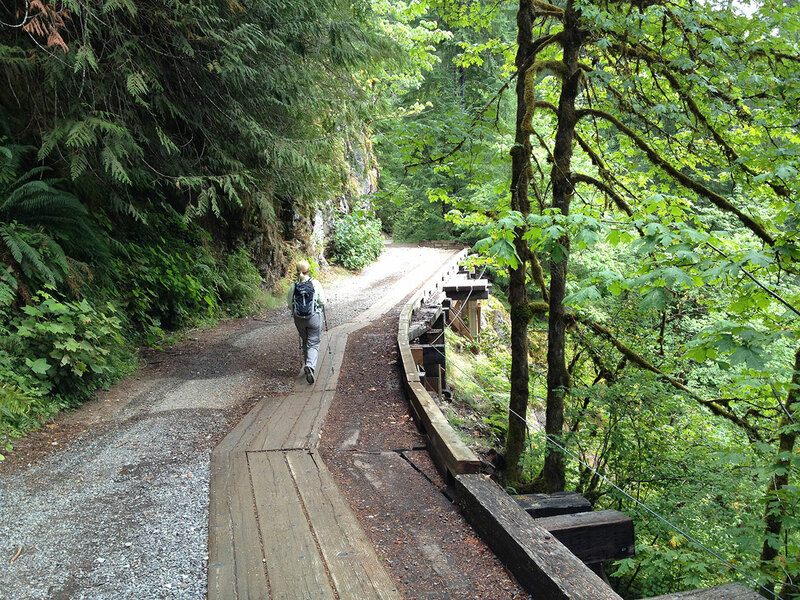 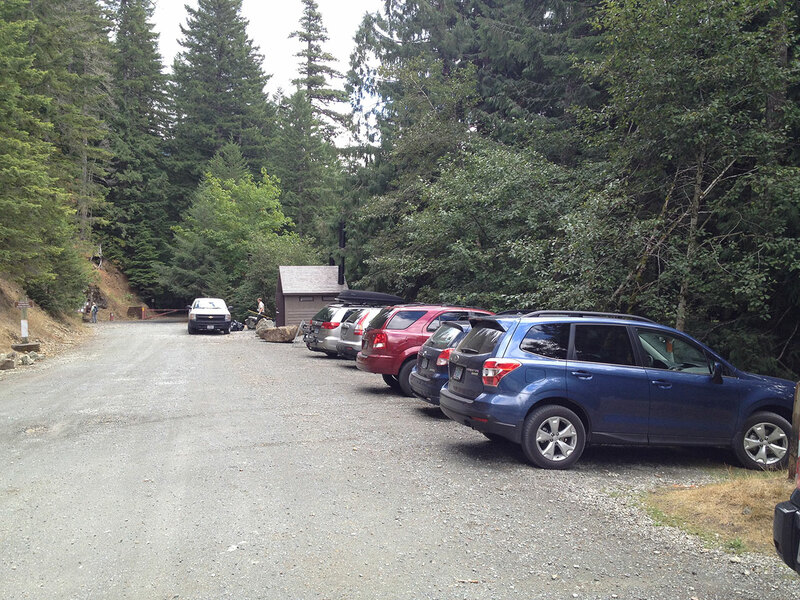 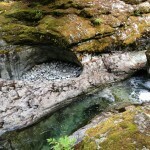 The Opal Creek Trailhead is 100 miles from our house, and several hikes depart from this point. 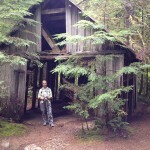 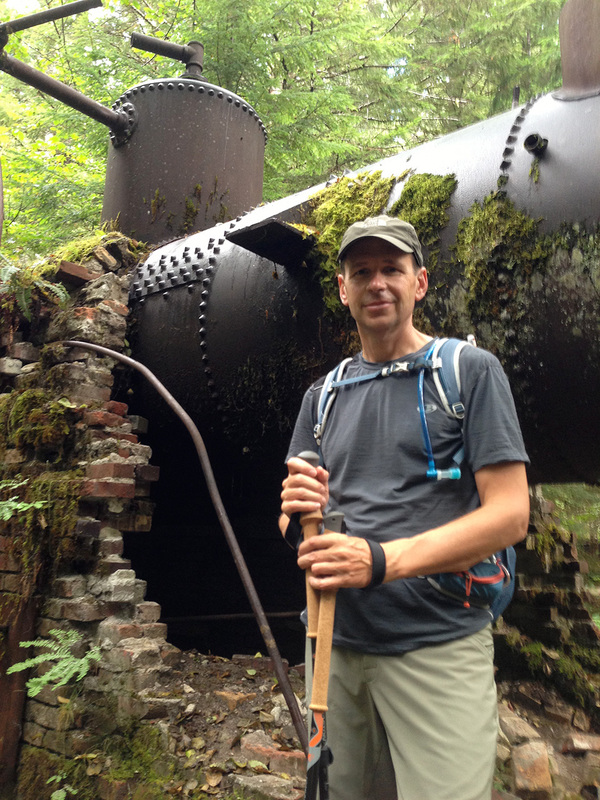 To celebrate David’s birthday today, we hiked both Jawbone Flats and the Cedar Flats. 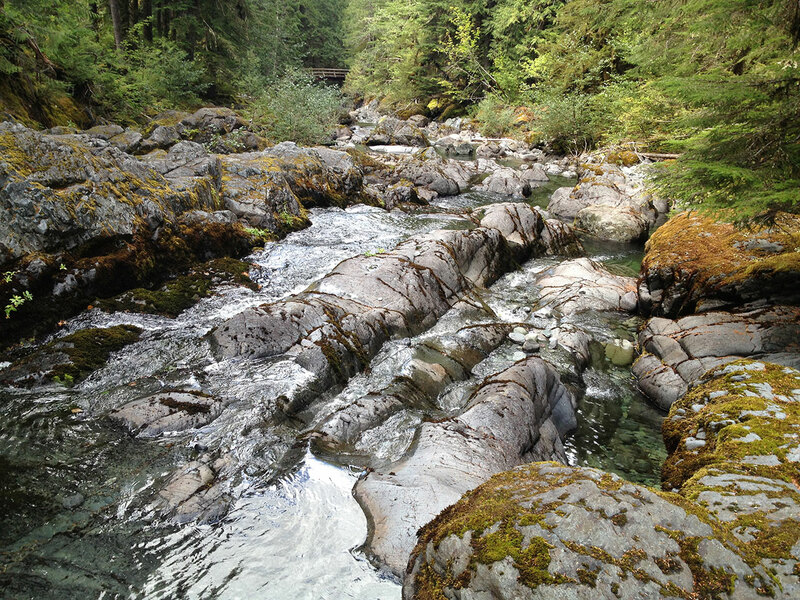 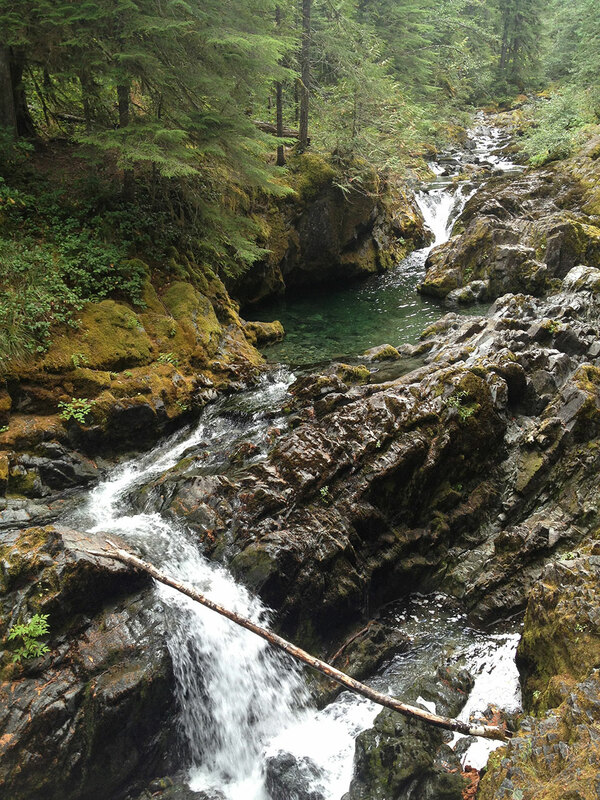 Opal Creek is so beautiful, it’s hard to believe anyone would even consider mining it. 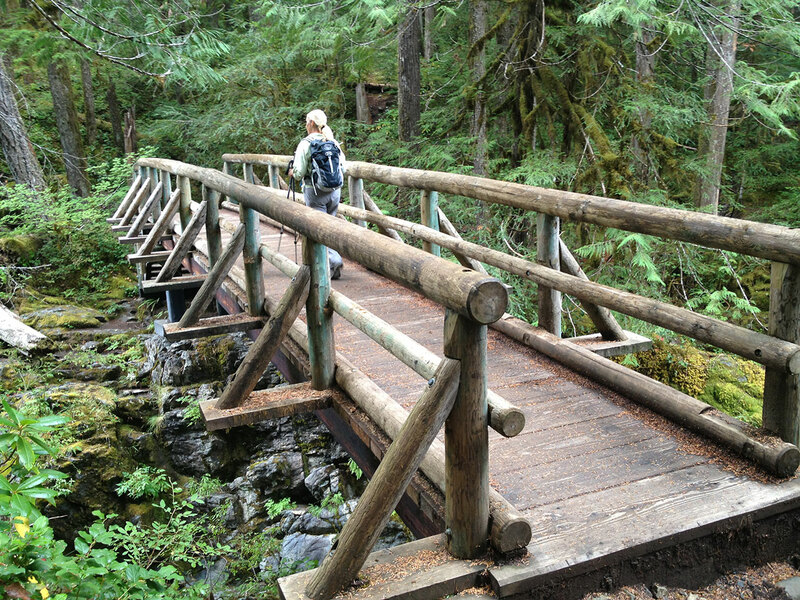 The main trail alongside it is a rarely-used gravel road that follows the creek through mossy old growth forests of cedar and yew. 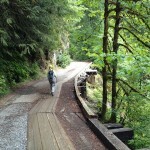 Sections of the road were shored up from the steep drop off with little more than a wish and a prayer. 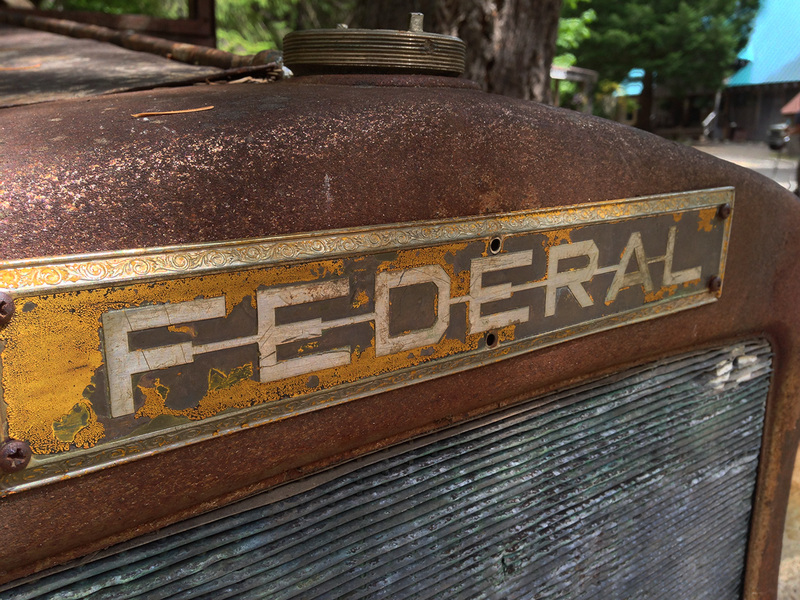 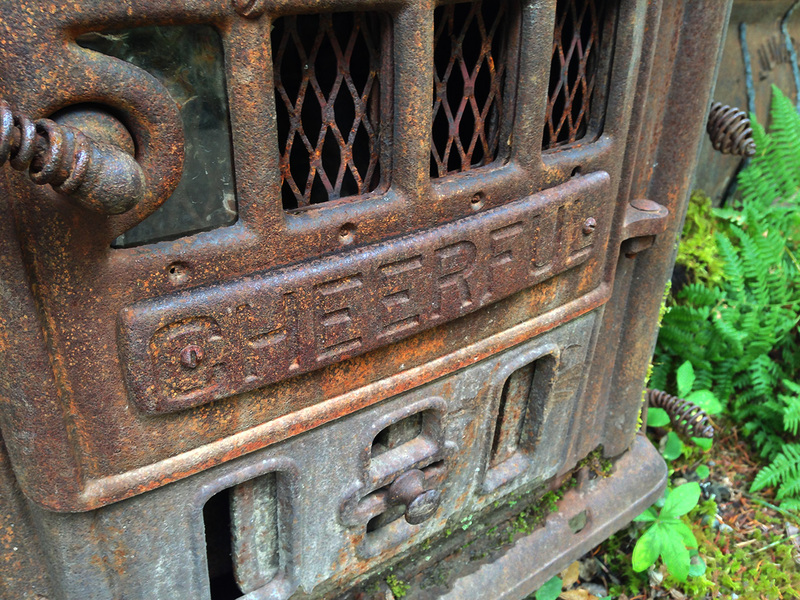 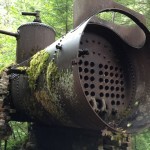 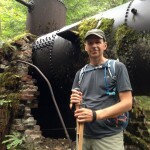 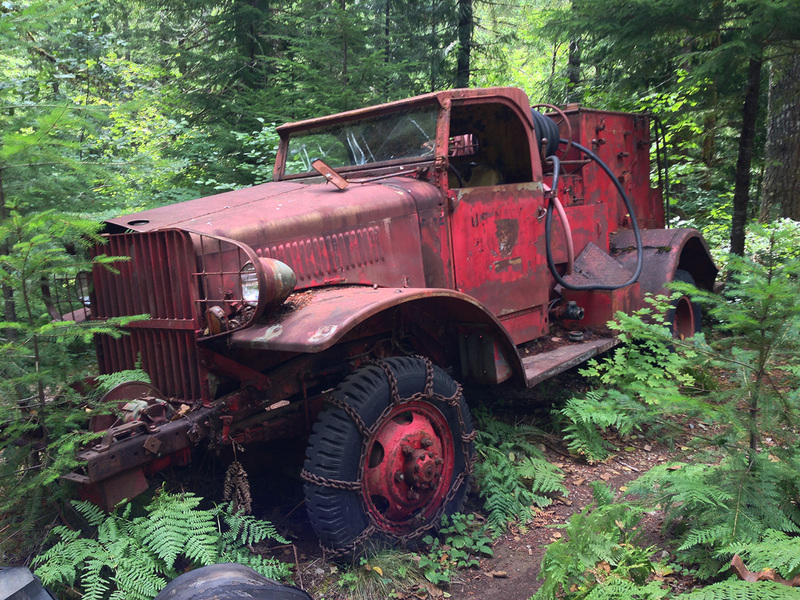 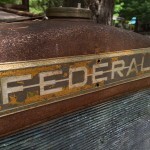 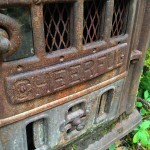 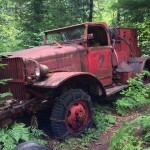 Abandoned logging and mining equipment at Merten Mill still rests in place rusting away. 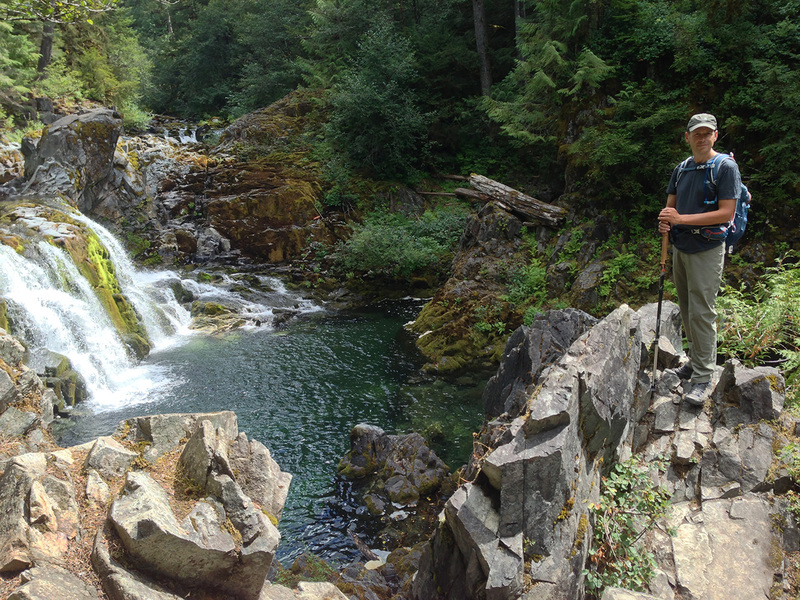 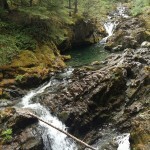 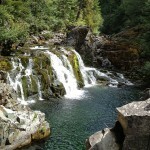 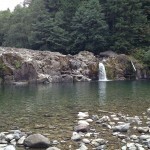 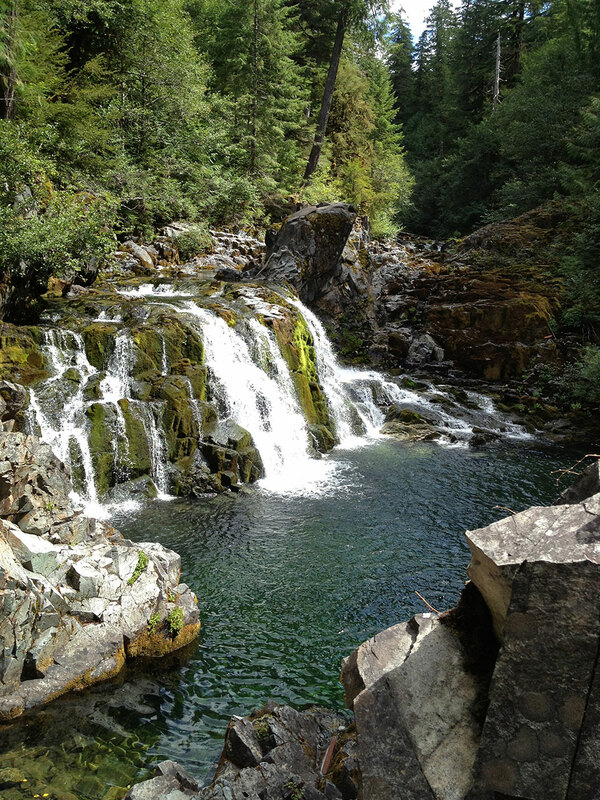 Dozens of lovely little pools and waterfalls populate the trail, becoming more dramatic as we climbed up the valley. 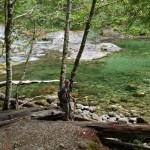 The water is crystal clear with a gem-like green tint. 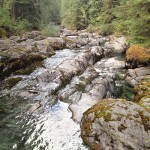 Lots of small trout swam languidly in the pools. 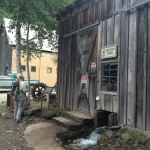 At the end of the valley is the small mining settlement of Jawbone Flats. 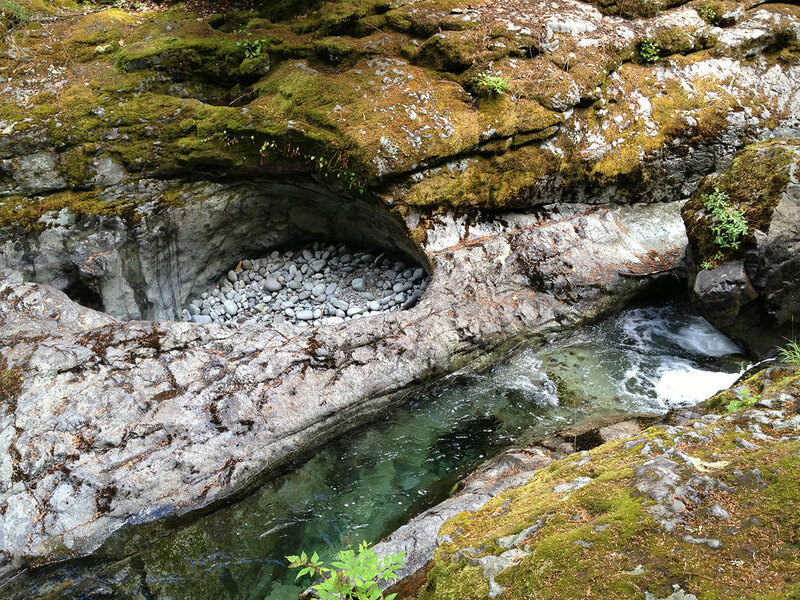 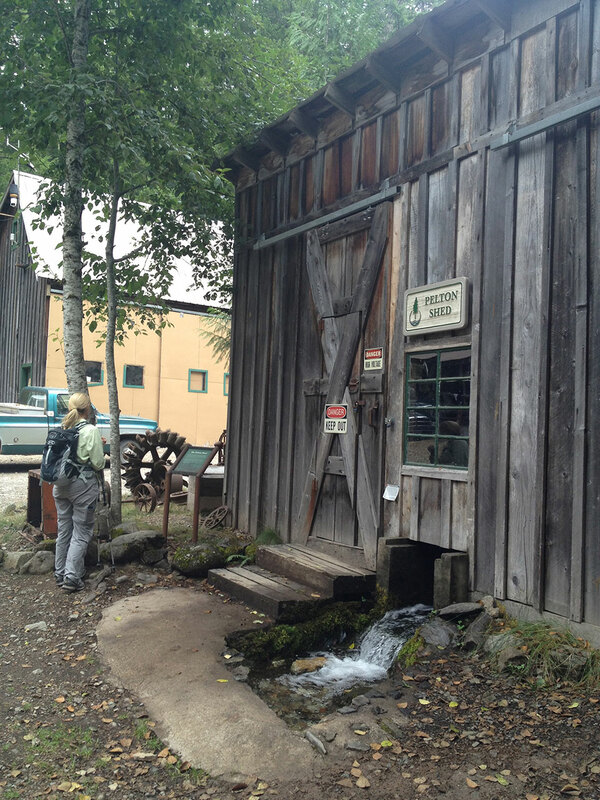 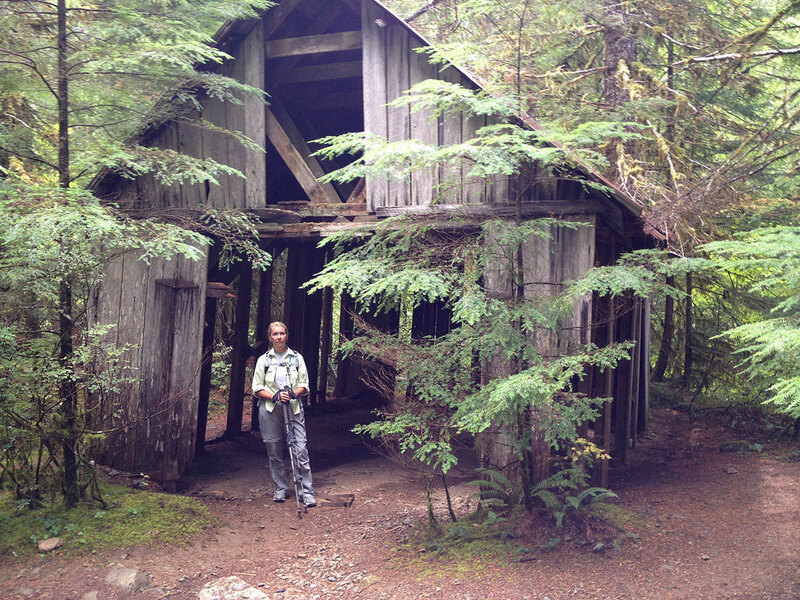 It’s been reborn as the Opal Creek Ancient Forest Center, a research and education facility. 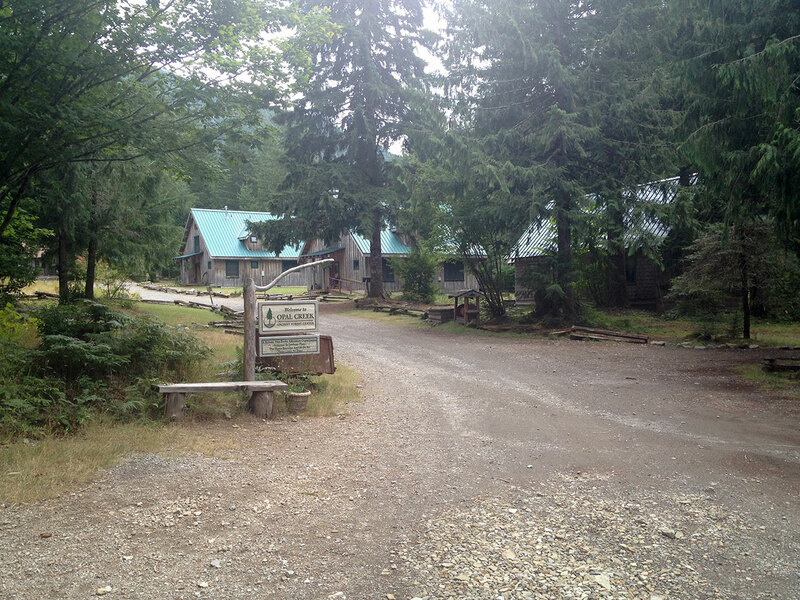 We saw several groups of teens engaged in very camp-like activities. 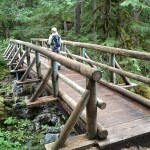 We walked to the creek crossing up to Cedar Flats before returning on the loop trail on the opposite side of the creek. 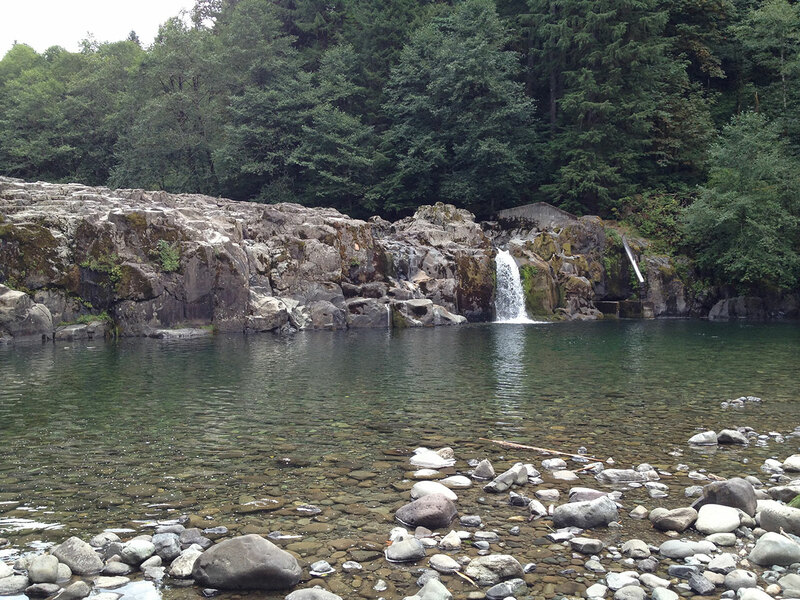 We spotted a number of lovely camping spots that we’d like to try out next time. 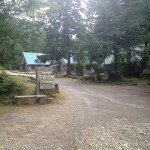 Tabor Bread and peanut butter.